Cabins could be isolated by a curtain or any other costumed solution. A Sailing Racing Yacht supplied with many sails of different types providing a great deal of performance. She has been registered as a charter boat but is mainly used for racing by a sailing club in Greece. Very spacey and full of light with ease to move around inside and outside the yacht. The two cabins that she has in the aft and in the front are mainly used to store sails and warps. 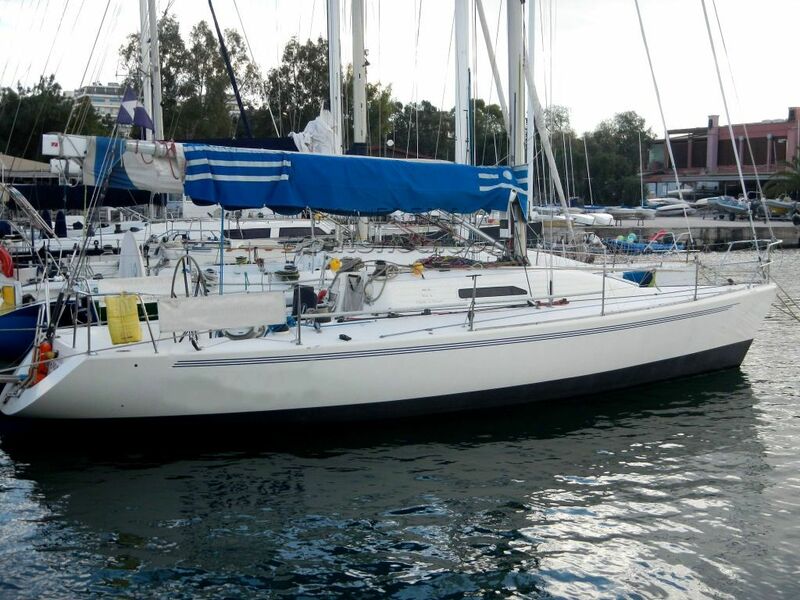 If you are the type of sailor who love taking part in sailing yacht races then this yacht is defined to be yours. A viewing from your side and someone on your behalf will definitely help... Looking forward to hear from you. This IMX -38 Racing Yacht With Aft Cabin has been personally photographed and viewed by Costa Jbeily of Boatshed Greece. Click here for contact details. Please note this comments section is public. Please do not post your personal details here. To enquire about purchasing this boat, please contact the broker directly at andytopham@boatshed.com. Please read our commenting guidelines before posting.